Create a new folder with the name X. Important: include the point and nothing before that! You can make a shortcut to that folder, change the target and icon and you have a nameless shortcut. I discovered this a long time ago while I was using Windows 98 & WinHacker. With WinHacker it was possible to create an expanding Control Panel in the Start Menu, but something went wrong and I got one without a name. For these Desktop Icons with Enhanced Context menus I've created a new thread here. They should all work with XP, most of them work in win 98, NT and 2000. I have added some more in the zip file, the Tweak UI folder works only when you have ?Tweak UI for Windows XP? installed. There's a slightly easier way. You can also rename the icon and type Alt+255. For each consecutive icon, adding another Alt+255. Cool :cool: Kinda funky if you think about it. May I ask where you found out? Or did you find it out yourself? I found it out myself while I was using Windows 98 & WinHacker. 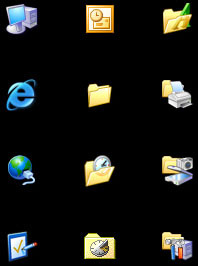 It is also possible to create folders with your own icons. If you want to create more folders, you have to give them another address. The zip includes a Shutdown, a Stand By and a Lock Computer button. First import the Reg Files and rebuild the icon cache. You can edit the Reg Files to change the icons. When you left click them they react like shortcuts. hehe, this is really cool! tnx alot. Say I want to create just a plain folder, for putting files in, on my desktop, how do I go about renaming it to do that? 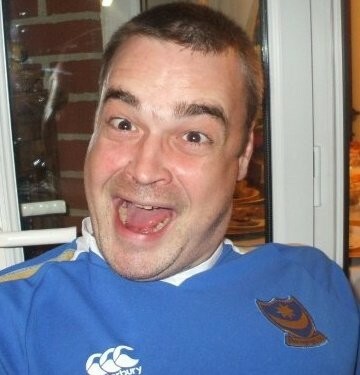 There are some more examples in previous attachments. How to create a folder without a name. When you want to have it a folder icon, add nothing. and point the icon to any icon you want. Thankyou Very-much for taking the time to explain, Herby. When you see the CLSID extension instead of nothing, it is needed to check "Hide protected operating system files" in the View tab from the Folder Options.